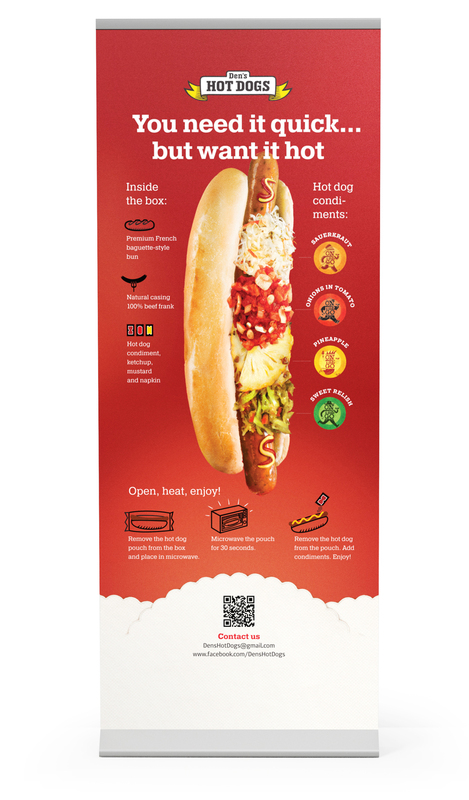 Task: to design exhibition equipment for a hot dog company. Den’s Hot Dogs participates in various food shows presenting On the Go hot dogs. 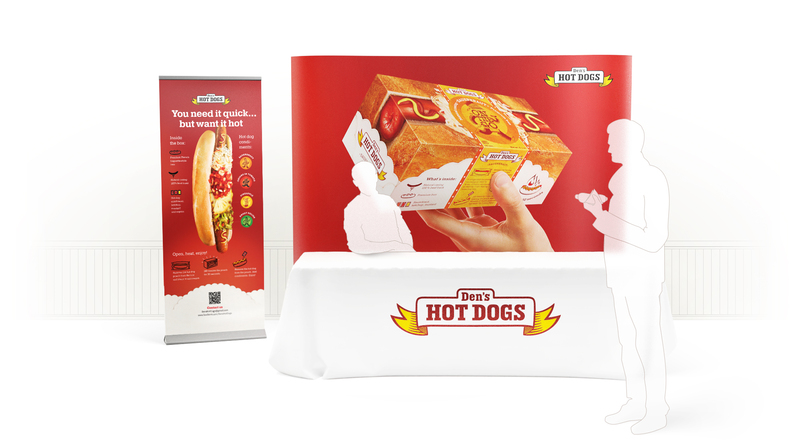 An appetizing exhibition booth was created for the company at the studio.